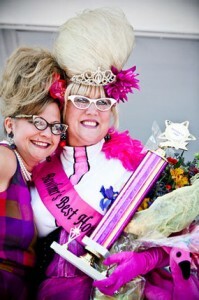 This weekend, June 11-13, Baltimore will be teeming with exciting festivals that will be fun for people of all ages! For the proud Baltimoreans out there and also for the people who would like to see what it’s like to live in Baltimore, Honfest is the perfect place to experience “Bawlmer” at its finest! Honfest is an extremely fun and whimsical celebration of all things Baltimore including the neighborhoods, dialects, and people of Baltimore, especially including their favorite and most commonly used term of endearment, “hon.” This festival will take place all day on Saturday, June 12 and Sunday, June 13 at 36th Street in Hampden. Attendees will be able to enjoy live music, classic Baltimore foods, eclectic shops, and festivities at the Glamour Lounge. Honfest is sure to be a great time, but don’t forget your beehive hairdo and feather boa, hon! To celebrate the summer solstice, Harbor East is hosting the Harbor East Solstice Celebration on Saturday, June 12 from 10am-8pm on the waterfront. You can enjoy a fun, relaxing day with live music, shopping, and dining. Also, for those people who are proud of their heritage or like to experience the foods, traditions, and celebrations of other cultures, both the Feast of St. Anthony Italian Festival in Little Italy and the St. Nicholas Greek Folk Festival at the St. Nicholas Greek Orthodox Church would be great festivals to attend. 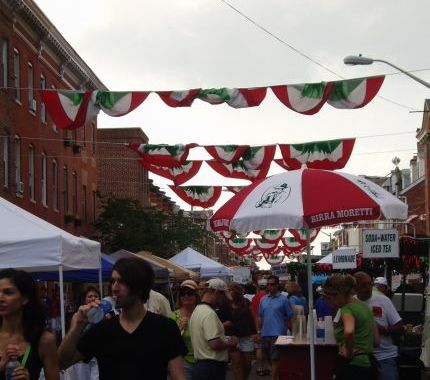 The Feast of St. Anthony Italian Festival will take place at Exeter and Stiles Streets on Saturday, June 12 and Sunday, June 13 from noon to 8pm. At the festival, you will be able to enjoy live music, delicious Italian food, wine, game wheels, vendors, and much more! The St. Nicholas Greek Folk Festival will take place at the St. Nicholas Greek Orthodox Church at 520 South Ponca Street on Friday, June 11 from 11am-11pm, Saturday, June 12 from noon-11pm, and Sunday, June 13 from noon-10pm. This festival will include a showcase of the Greek community including dancing, costumes, and traditional foods. So, if you come to Baltimore this weekend, you will be sure to have a great time with all of the festivities that are happening so close to the 1840s Carrollton Inn! Call us at 410-385-1840 if you would like to make reservations since we still have a few rooms available for tonight, Friday, June 11, and for Sunday, June 13.